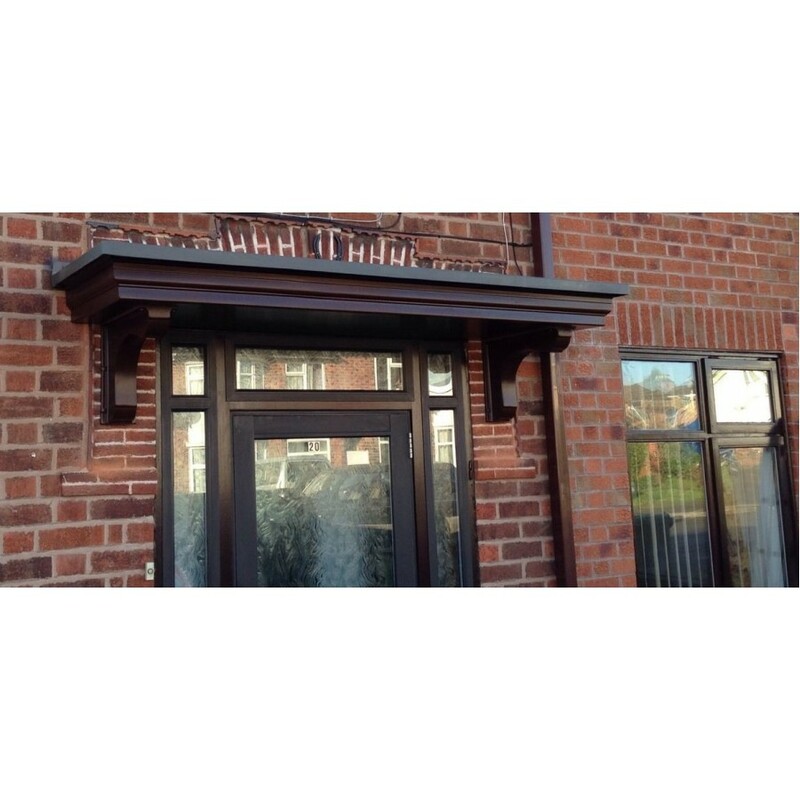 Our best selling Delta GRP (fibreglass) window / door porch canopy is a flat roof canopy shelter with integral GRP lead effect fixing/flashing flange, The Delta door canopy is supplied with a white fascia and soffit and a slate grey colour roof as standard. 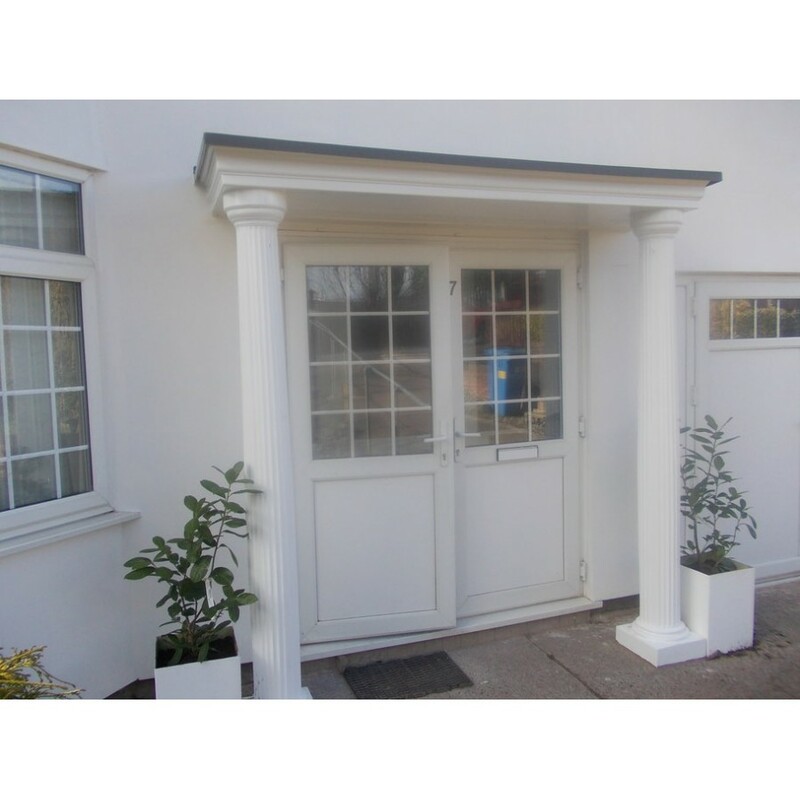 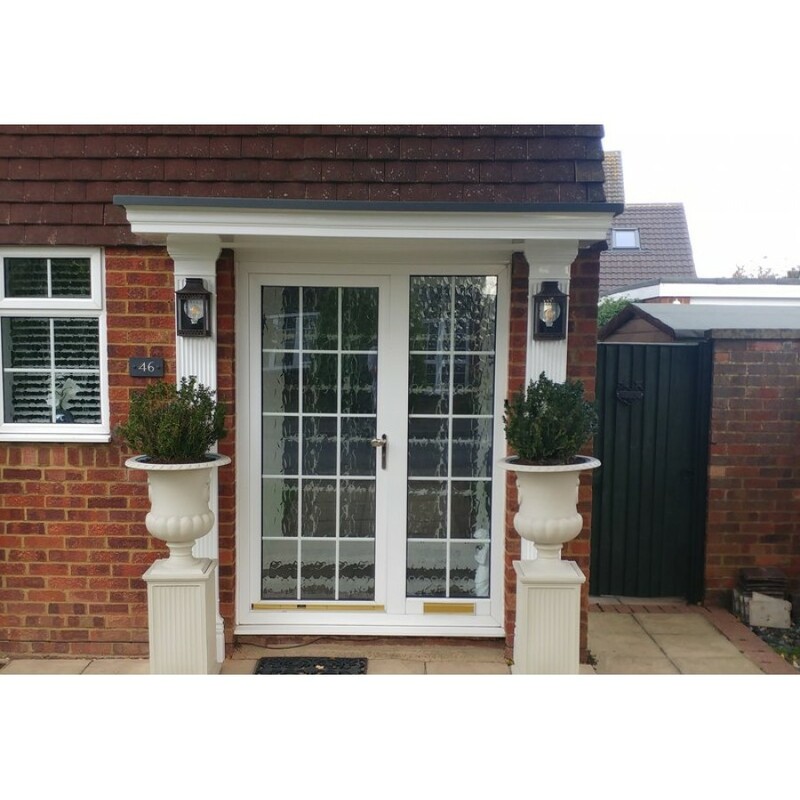 The Delta porch canopy can be made to measure in any lengths up to 3048mm (10ft) making it a perfect choice for a window and door combination or french doors, patio doors and sliding doors. 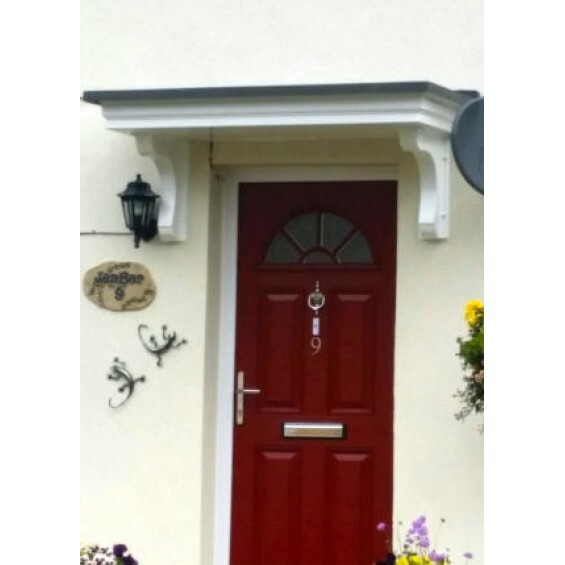 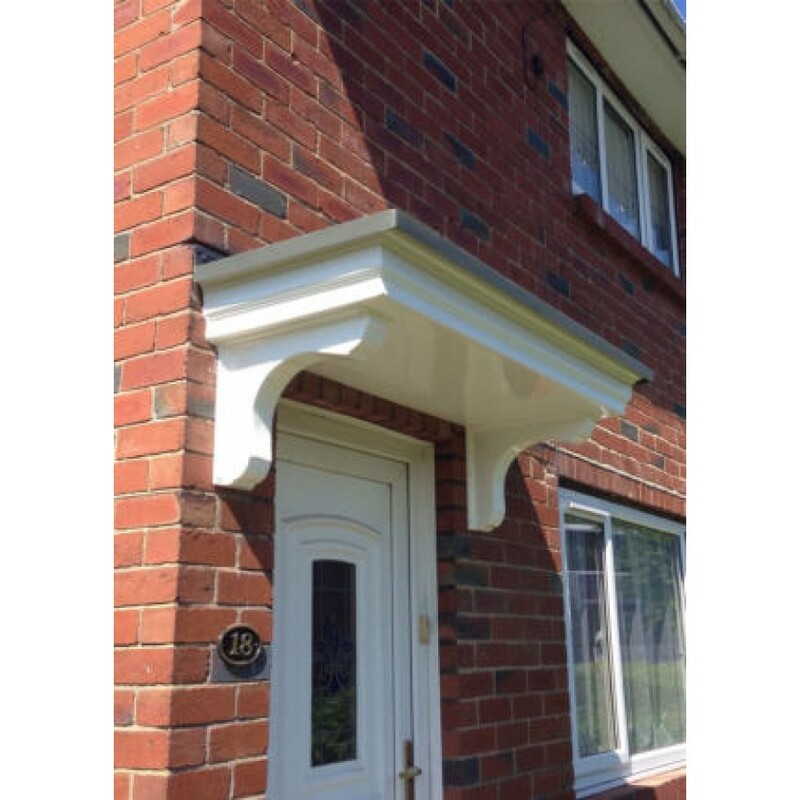 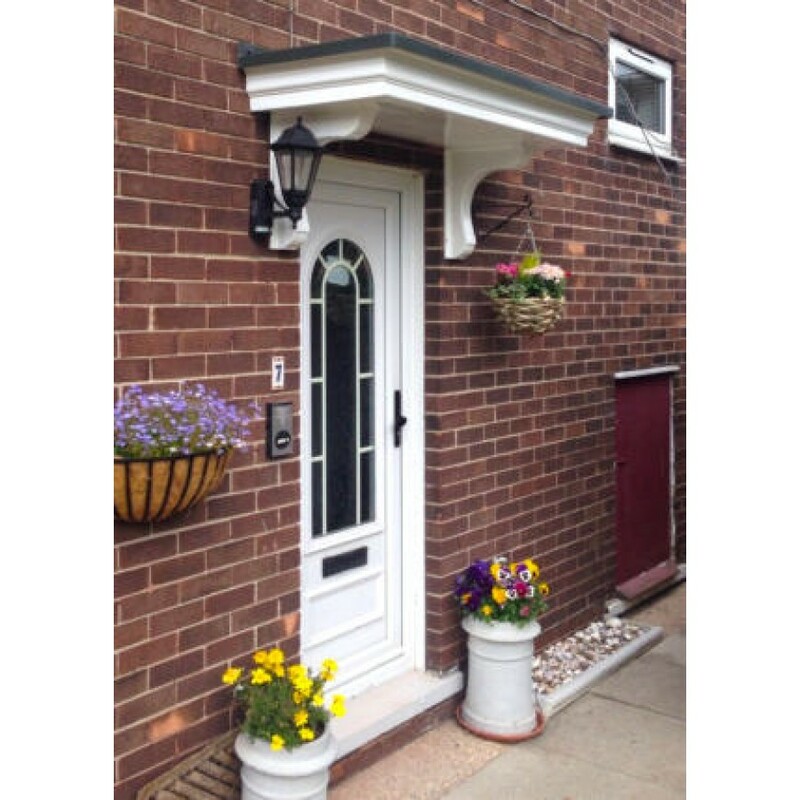 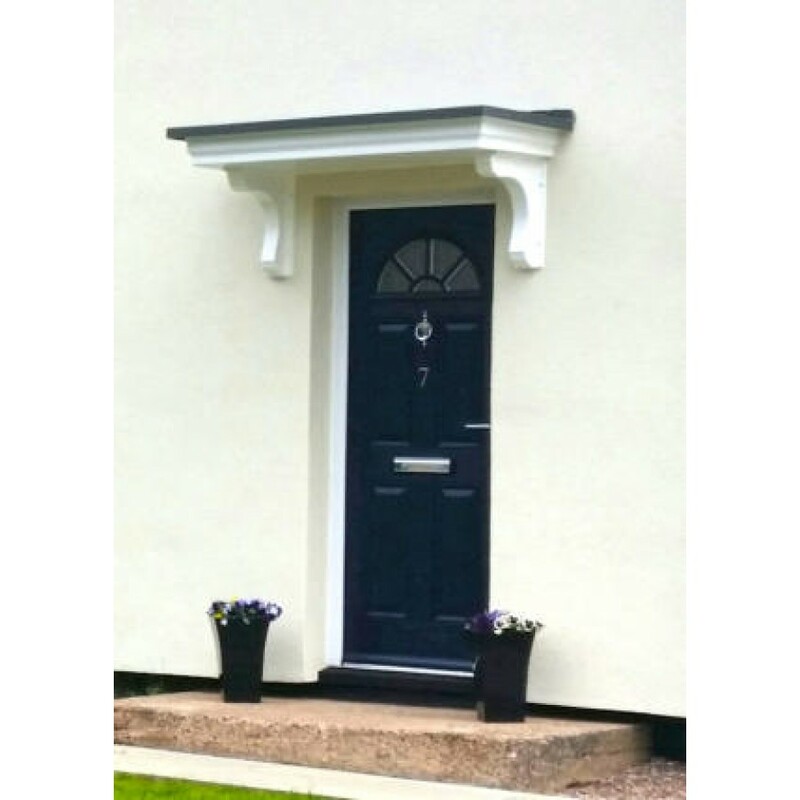 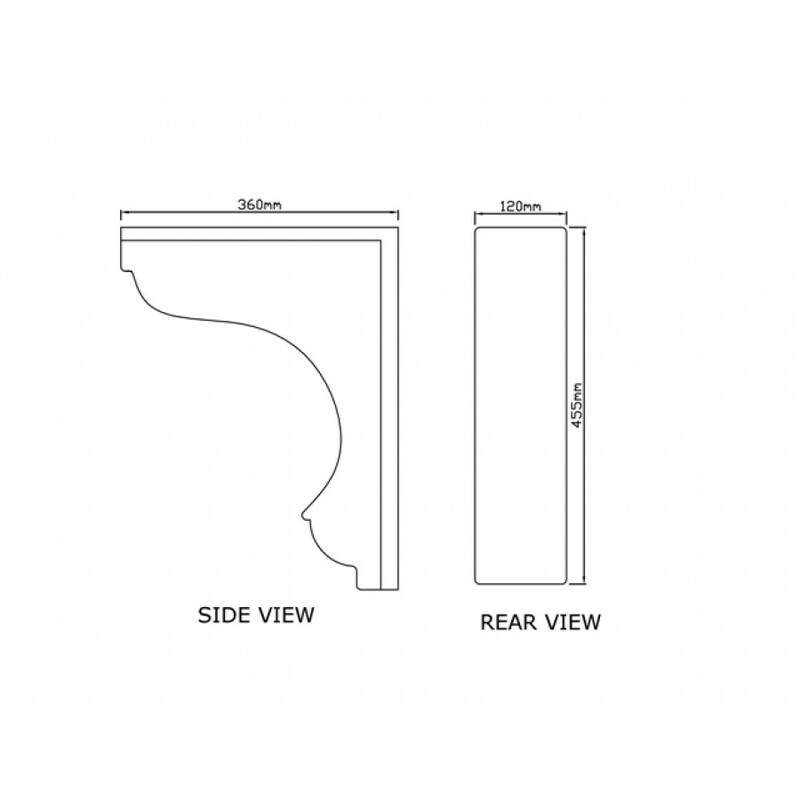 There are also optional decorative brackets supports available to purchase The Delta door canopy is supplied in slate grey & white but there are other colour options available such as oak, mahogany and anthracite grey which can be selected during the order process. 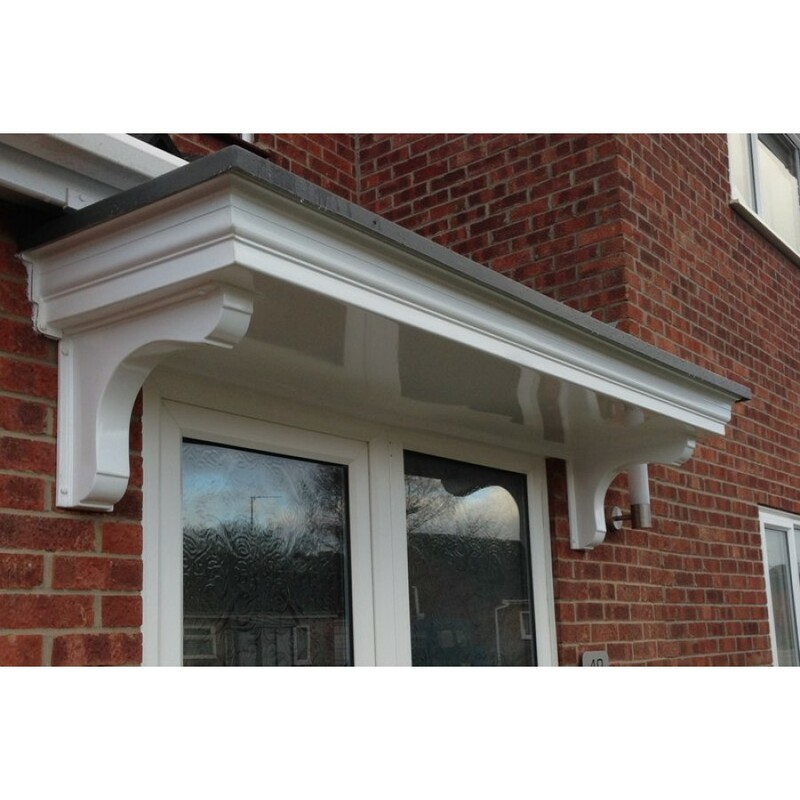 All of our GRP products are hand made to order at our West Midlands based premises. 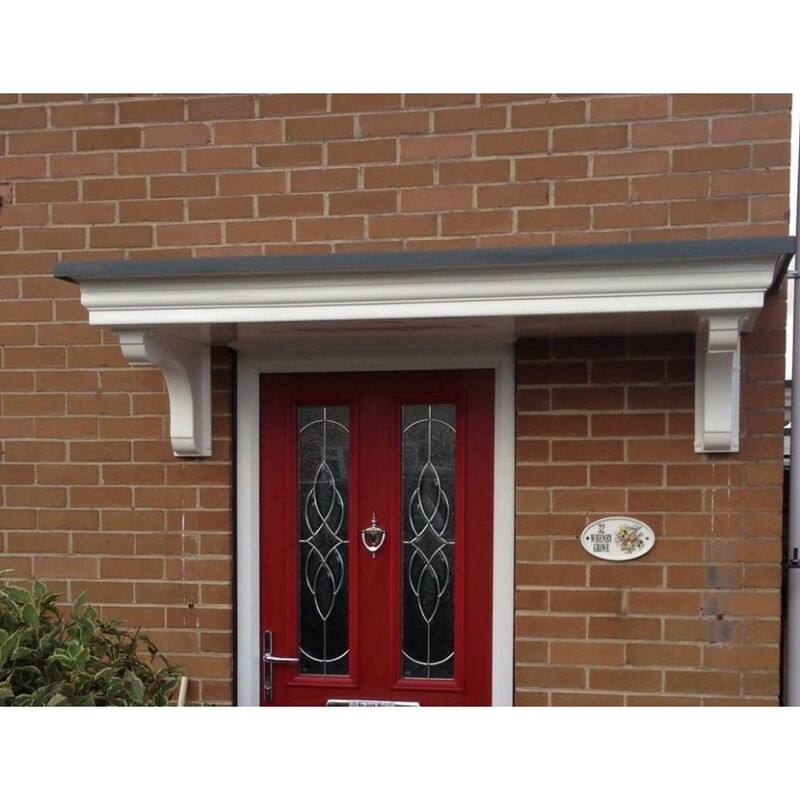 If you require a canopy measuring longer than 2000mm then please order here http://www.midlandsgrp.co.uk/grp-door-canopy/delta-2000-series-window-door-canopy. 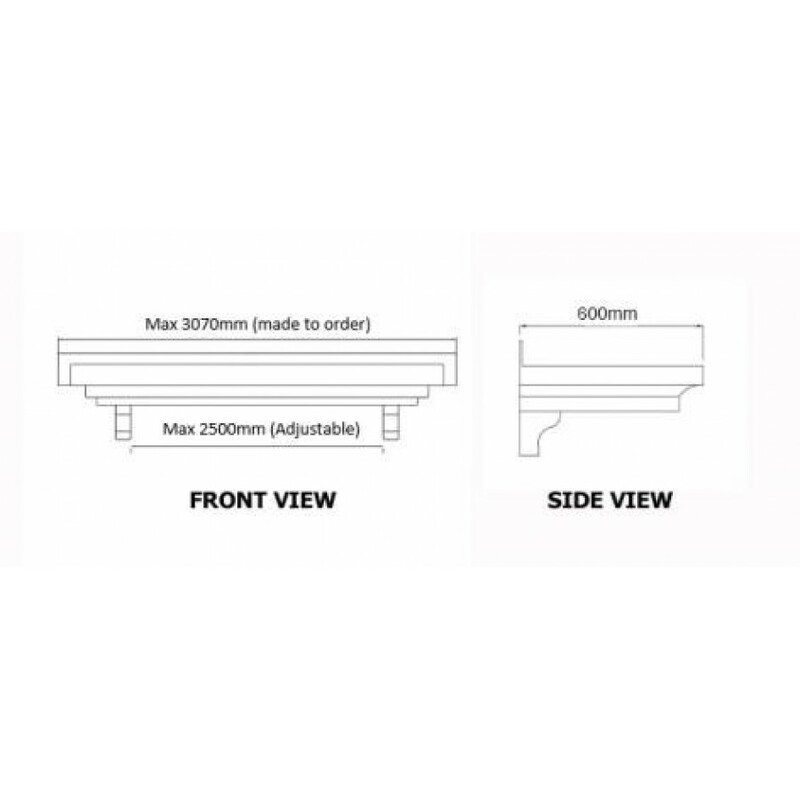 Any orders placed measuring over 2000mm using the Delta 1200+ series option will automatically be cancelled and refunded.